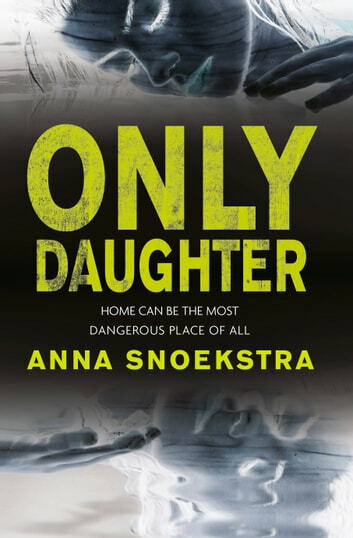 “In Anna Snoekstra's dark and edgy debut, a young woman slips easily into the life of a girl missing eleven years, only to discover the grisly truth behind the disappearance. Will she be the next victim? Truly distinctive and tautly told, ONLY DAUGHTER welcomes a thrilling new voice in crime fiction.” – Mary Kubica, New York Times bestselling author of The Good Girl. – Lisa Unger, New York Times bestselling author of Ink and Bone. She'd been enjoying her teenage summer break: working at a fast–food restaurant, crushing on an older boy and shoplifting with her best friend. Mysteriously ominous things began to happen–blood in the bed, periods of blackouts, a feeling of being watched–though Bec remained oblivious of what was to come. A young woman, desperate after being arrested, claims to be the decade–missing Bec. But Bec's welcoming family and enthusiastic friends are not quite as they seem. As the imposter dodges the detective investigating her case, she begins to delve into the life of the real Bec Winter–and soon realizes that whoever took Bec is still at large, and that she is in imminent danger. As the pretender walks in Rebecca's shoes, she realises that whoever is responsible for Bec's disappearance is still in her life. This author just has to write more novels. This is one of the best reads. It will keep you guessing up until the last page. You might get some nightmares and feel very scared for a while. That's fine all us devourers of wacky crime fiction thrive on weird and scary novels. Enjoy. I loved this book! Several days later I'm still thinking about the ending. Interesting story with suspense that creeps up on you. Refreshingly different for the genre. Great book. Could not put it down. Cannot wait for her next book.